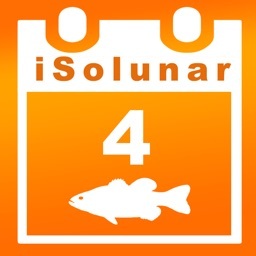 The #1 solunar table app for iPhone. Monthly view, weekly view, and daily view. 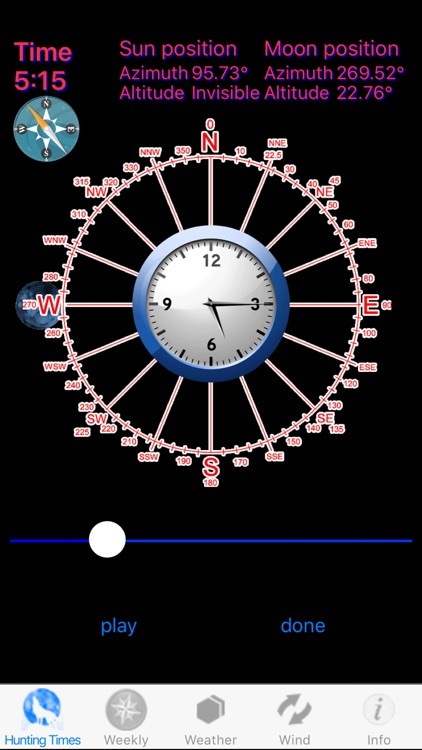 Animated solar and lunar locations; Animated wind forecast. Determine Best Hunting Times for any date, any location. 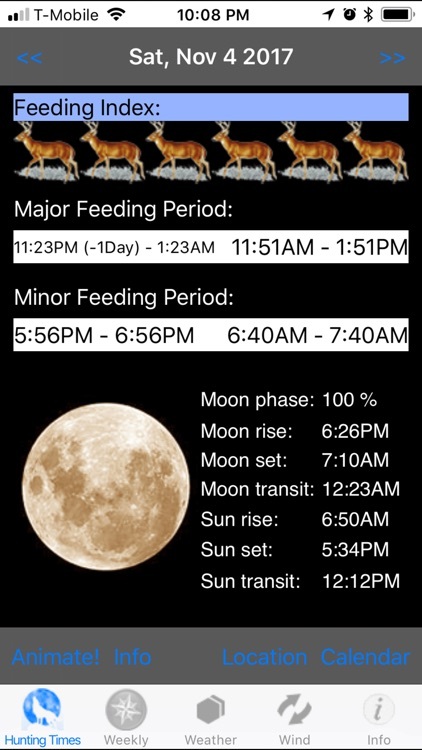 Best Hunting Time is the only iPhone app with Animated solar and lunar locations for any second and Animated wind forecast.. 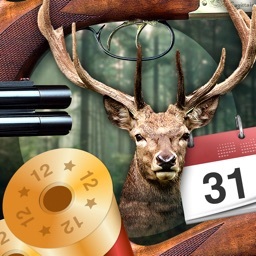 If you like hunting, have this app handy and it will provide you with the location-specific information to maximize your chances success and know exactly when the best hunting times will occur! 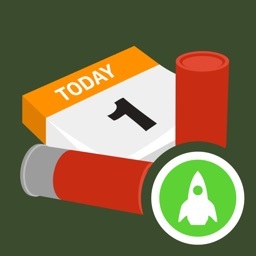 This app is the perfect planning tool for outdoor activities. 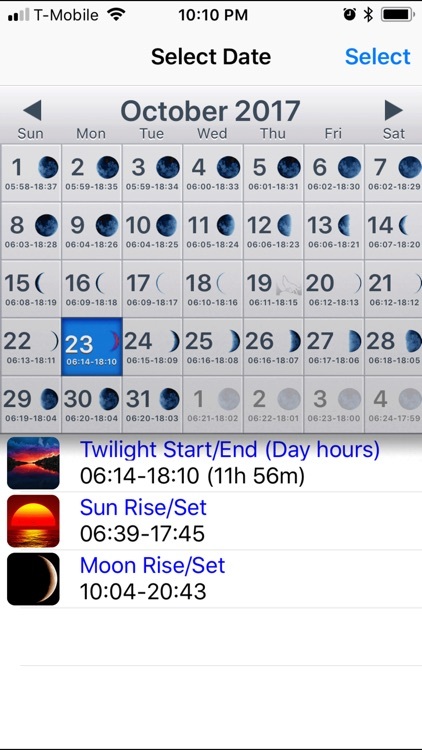 Click "Simulate" button on the Hunting Time page, see the cool new feature of graphical sun and moon simulator! All information are calculated real time precisely based on the approved Solunar theory. Q: Why there is a red circle on the icon? 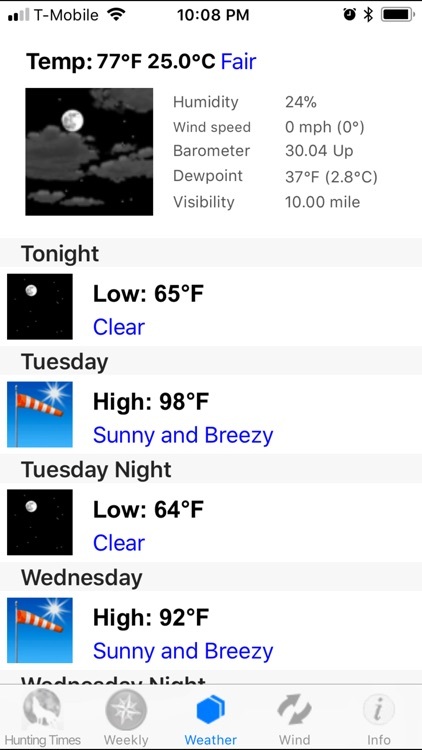 A: This is a new feature we just added in the new version: app icon badge to indicate the daily animal activity index, which enables quick peek without launching the app. 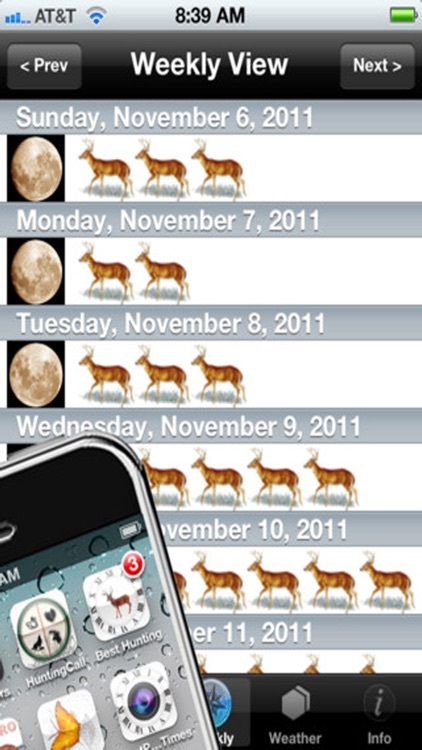 For example, a red 4 mean today the animal activity index is 4 out of 6. 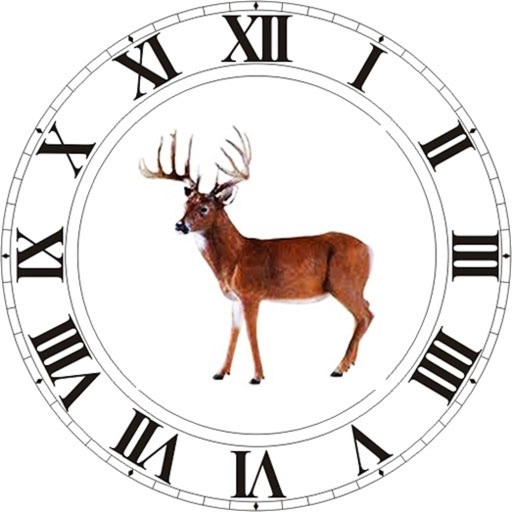 You can turn the badge on and off by going to Settings->Notification->Best Hunting Times. 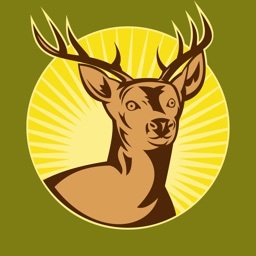 Be sure to check our "Hunting Call" app.